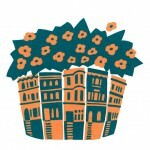 The Lefferts Manor Association will be having it’s Spring General Meeting on April 2nd at 10am. Enjoy a cup of coffee, see neighbors you haven’t seen since December. The meeting will be held at the Church of the Evangel, on Bedford Avenue between Hawthorne and Winthrop.